There’s no question that a dirty room (or several) can take the enjoyment out of being at home. A Step Above Cleaning Services believes that your home should be your castle. That’s why we offer unmatched carpet cleaning, upholstery cleaning, tile and grout cleaning, and pressure washing for those in Sun City and throughout Southern California. Family owned and operated, our number one priority is taking care of the customer. We do this by approaching each cleaning job in a thorough, meticulous fashion. Never will our team simply rush through a job in order to get to the next one. Rest assured that our fully trained IICRC certified technicians always pay close attention to detail in every aspect of what we do. 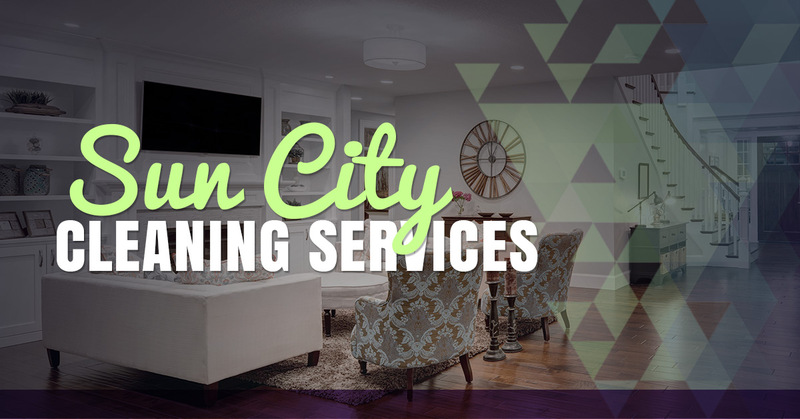 Unlike other local cleaning companies, we even guarantee our work for 30 days! So if you aren’t satisfied for any reason, let us know and we will return to re-clean the concerned area at no charge. All carpet is going to show signs of wear and tear at some point. Even if you vacuum regularly, it’s only going to do so much. That’s where the need for professional carpet cleaning comes into play. We use the most innovative equipment and environmentally safe products in order to achieve a deep, long-lasting clean that your entire family will appreciate. The results lie in steam cleaning techniques. This proven, high-temperature solution removes soil, dirt, and odors more effectively than traditional carpet cleaning methods. The process begins with pre-conditioning high traffic and heavily soiled areas. From there, it’s on to scrubbing all areas to work in the solution and break down soils. Lastly, our technicians rinse and deodorize while extracting dirt and grime from the carpet. It’s safe to say that our Hydramaster truck mount system offers cleaning power that others simply can’t match! Now is the perfect time to refresh your carpets. Call A Step Above Cleaning Services today for a free quote.